Rethinking Faith and Church: Sharia Law for Canada? My friend, take note of what is happening in Brittain. The Muslime immegrants isolated themselves in their own neighbourhoods (which limits cross-culturao influences). They start making demands (for recognition of their religion), they promote the halaal sign on food (for which the non-Muslims pay) and before long they slowly but surely promote the rest of the Sharia laws. They react almost violently when they perceive to be insulted in some way or another. Today Christians are increasingly being persecuted by the democraticly elected government and all the laws in the country securing the rights of "everyone". Why? Because the British government is hyper careful not to be perceived as intolerant towards the Muslim population. The Muslims use democracy very effectively to promote Islam. They are not interested to convert individuals to Islam. They do that, but their main focus is to bring a country under Sharia law thereby compelling every one to submit to Islam (among others compelling the ladies to wear the Burka). They are aspiring to subject the whole world under Islam. They are allowed to lie for the sake of Islam. Often they will say the things we (Westerners) like to hear, but when they speak to the Muslim world they say the exact opposite. Jihad takes on many forms. We tend to think of it only in terms of warlike acts, but buying property, starting a business or building a mosque (anything that promotes Islam) are also considered as Jihad. They also like to tell us that Jihad is a personal inward soul searching. BUT we must not fear them. Pray for them, ask them to explain their customs to you and ask the Lord Jesus for wisdom to witness to them. More importantly they look at our lifestyles. Live holy lives so that the light of Jesus will shine through you. Thank you for your comment, anonymous friend. I do partly agree, as far as the going to the source is concerned. That is why a few years ago I also began to read an English version of the Quran. Why? Because like with most authors, I would rather read the original (or in this case, as close to the original as possible), rather that just what someone else says about the original. Just as I would rather read the Bible as opposed to only a commentary on the Bible, likewise I would rather read the Quran than only someone's commentary on the Quran. I have a friend who went to Pakistan for a visit and wanted to purchase a Quran. He was asked whether he was going to the West with it. Seemingly there are different versions of the Quran depending on their intended audience. Why is that? 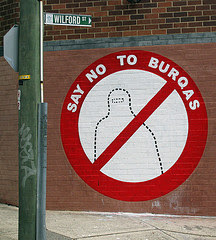 compassion - ie burquas. If these ladies were banned from wearing burquas - most would then have to be hidden in their homes out of fear. I wouldn't wish that on them - that would be such a lonely life. I would rather have them in public with a burqua where they can socialise and have the opportunities to read public notices about opportunities to escape abusive situations. This is what I gleaned from the 3rd Parliamentary Forum on Religious Freedom held September 24th, 2012 from 7:00pm – 8:30pm at the Government Conference Centre, 2 Rideau Street, Ottawa ON. The forum was hosted by David Anderson, MP Cypress Hills-Grasslands and Dr. Andy Bannister, Canadian Director, Ravi Zacharias International Ministries. The guest speaker was Dr Tanya Walker, PhD who studied the Sharia Councils operating in Great Britain for her doctoral thesis. First of all, a great stress was placed on the fact that we must not paint all Muslims with the same brush as their practises vary widely from region to region. Sharia councils (Sharia courts) have found a home in Great Britain (and as I learned elsewhere in the Netherlands and other European countries). In Western practice, Sharia Law predominately pertains to family law issues, where the experience in Britain is that 95% of cases before sharia councils are family issues. Criminal matters are still dealt with using the criminal court system of the host country. The desire by some Muslims to have sharia councils in Canada is that this legal system is the traditional legal system of Islam. In Muslim countries, where Islam is in the majority, there is no issue. It should be noted that not all Muslim countries practise sharia law. However, with immigration from these countries to the West, Muslims find themselves in a totally different environment, one in which they find themselves in the minority. This has placed them in unfamiliar territory in which they must adapt their practices “out of necessity”. Consequently, imams have counselled that, because of necessity, certain practises may be forsaken as the most rational approach to their predicament. An example of this is when halal meat is not available because it’s not customary in a region, it is deemed preferable and acceptable to eat non-halal meat as opposed to starving. However, if halal meat is available in region a Muslim must eat halal meat. Therefore, the absence of halal meat opens the doors for other options. Similarly, in the absence of sharia law, it is preferable for Muslims to use the legal system of the host country as opposed to not having any legal means to settle disputes. However, when a host country adopts the option of having sharia law, Muslims must use that system as their only option. The Qur’an and other Islamic writings are very clear on the role of women and their entitlement to financial resources in family matters. There is no equality for men and women. For example, if a man wishes to divorce his wife, he only needs to say “I divorce you” three times and pay for the divorce and its collateral finances. A woman on the other hand, must ask her husband permission to divorce. If he grants her wish, she must pay all costs. If he refuses to grant her the divorce, she can still get one either through the sharia council and she would have to pay all the divorce costs. If no sharia council is available, she must use the available legal system in which the costs are shared. Other disparities between men and women are found in inheritance issues. Men inherit 100% of what is entitled to them while women inherit only 50%. In the absence of sharia law, men are more likely to lose control of their finances surrounding a divorce because our legal system splits assets equitably between the man and the woman. This seems straight forward, but it is not. Proponents of sharia law argue that Muslim women prefer to have sharia law too. Muslim women know their place in their society. It is a man’s world in which the men have the authority to make decisions. The premise of authority and subservient relationships is that the subservient individual recognizes the authority figures rightful position of authority. Dr. Walker’s research showed that this relationship does not exist. Muslim women generally do not recognize the authoritarian’s rightful position of authority. This is an important factor because, without that recognition of authority, the justice framework collapses. Yet, many Muslim women still say they would prefer to have sharia law in place. This seems odd. Dr. Walker’s research further indicated that their agreement with sharia law is more a pragmatic approach to getting what they want than a deep-seated belief that the use of sharia council is a form of religious obedience. It is pragmatic because, if a woman seeks a divorce outside the sharia system, she risks being ostracised from her community. This would cause additional hardship for the woman. So, they see sharia law as a bonafide way of getting what they really want: a divorce and still remain in the community. The response contains some interesting information. The two main reasons for becoming Muslim, aside from being born into a Muslim family, are (1) imams in prisons suggesting to male black inmates that Islam is the religion of the blacks and so convince them to become Muslim and (2) women becoming romantically involved with a Muslim men who convince them to become Muslim to make the marriage/relationship work. The question was not really answered except in that the death penalty would be something handled by our criminal justice system. A man spoke about how the Qur’an has many translations and how when he went to Pakistan, and wanted to buy a copy of the Qur’an, he was asked whether it was to be used in the West. Presumably there are some translations in which the language used is watered down for Western palatability. The issue of taqiyya was also raised. This is a practice (more so among Shiites than Sunnis) whereby it is permissible to deny one’s faith or otherwise lie for the purpose of self-preservation. This is typically applied in times of war, to defend Islam or to ensure harmony between husband and wife. In summary, the thrust of the message was that sharia law should not be allowed into Canada because it is not “mandatory” to the practise of Islam in Canada in that Islam allows for other options when sharia law is not available (ie. Out of necessity). These other options, namely using Canadian law, allows for greater equity between men and women. I meant to mention that some situations for women can be very difficult. Dr. Walker mentioned a case where a man (who is allowed to have up to 4 wives) beat his first wife (which by the way is permissible in the Qur'an for certain circumstances). She wanted a divorce but the husband said "No, take what you get". She was subjected to further abuse but if she pursuded a divorce (which she ultimately did) she had to pay the whole divorce costs and walk away with nothing, not to mention risk being ostrasized by her community ... you don't hang your "dirty laundry" out in public. Doug, I appreciate you sharing your notes from the "Parliamentary Forum on Religious Freedom." They certainly are interesting. Blessings, bro. I`m confident that Canada will maintain the Constitution and all applicable laws. But really we are seeing an influx of Muslims in recent years. I saw in the dissertation their culture and some materials were incomprehensible to me. But I found this site 99 papers and ordered a review here on this topic. Fortunately, matters of religion aren`t important to me because I'm an atheist.